A Homeschool Story: Thank You! 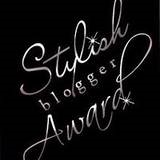 Thank you to The Firefly Files, for passing on to me the Stylish Blogger Award. I am so pleased to accept! The rules of the award state that I must write seven things about myself, so here I go. 1) My grandfather was a writer and poet. 2) Favorite thing to cook and eat: mousse au chocolat. 3) I once took Esperanto classes and mean to get back to it one day. 4) I've also studied a little bit of Spanish, German, Italian, Basque, Chinese and Polish. 5) Of those, I speak only Spanish, a little bit, pitiful. 7) I like hats (cloche) and shoes (Mary Janes and boots), could care less about jewelry, unless someone made or bought it just for me. I could go on...thank you to all of you bloggers that share your thoughts, ideas and smiles with us each day. By the way, what are esperanto classes?